As tens of thousands of websites get registered every day, only those which manage to connect with audience live longer. Understanding a website’s traffic and acting accordingly based on multiple factors such as geo-location and time synchronization is quite essential. Marketing with a good sense of behavioral analytics for any ecommerce website is very important. NotifyVisitors is a simple tool that studies user behavior to automate notifications based on it. Predominantly, it is built for marketers and needs no coding. It is said that, doing the right thing at the right time is the best thing to do. NotifyVisitors helps to aptly connect with the audience by making the right notifications at the right time. You can create notifications and show them to target audience based on multiple filters like location, traffic source, browser or device type, visit frequency or duration, time of day, page views, operating system, cookie, leave intent targeting, custom data rules and many more. The tool has a leave intent detecting feature available which allows website owners to show the notification to visitors who are about to leave the website. 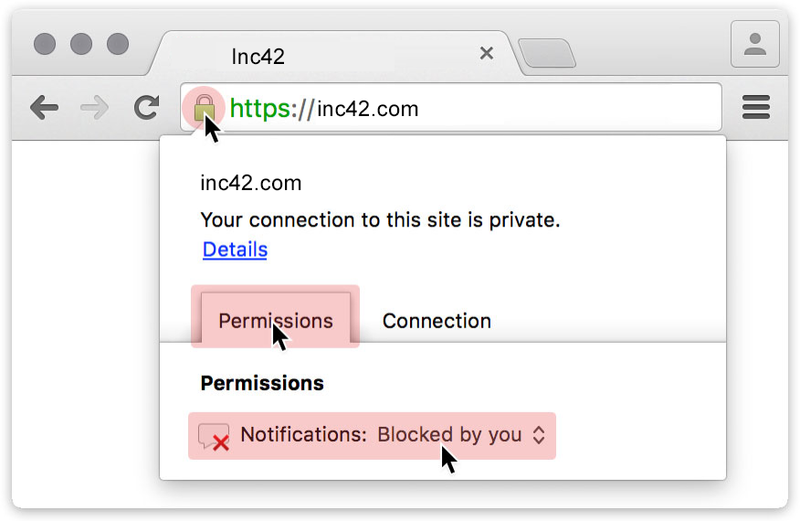 Notifications only show on specific URLs of your website based on the URL rules you set. NotifyVisitors keeps track of time durations too. Notifications are triggered only after visitor has spent specified amount of time browsing your website and after specified time delay on page load. Multiple readymade notification templates are available which can be customized through visual WYSIWYG editors to match your website theme, targeting rules real time. The tool also helps you to analyze website operation by giving detailed analytics, complete performance reports and click through rate for each notification which can be exported anytime. The startup was cofounded by Siddharth Gupta and Aman gupta. The two computer science engineers with good technology background have more than 5 years of digital domain experience. They already have another product InviteReferrals.com, a tool to design and launch customer referral campaigns. NotifyVisitors has a global market and more than 50% of its customers come from the US. Marketing automation has a market size of more than 1 Billion USD. “The experience and customer base of InviteReferrals helped us a lot to scale NotifyVisitors. There are enterprise products like Adobe target and Eloqua that offer such services as part of their full solution. Our product is very simple and makes it affordable for anyone on pay as you go model.” says Siddharth. The service comes in a wide range of pricing plans for starters and enterprises on the basis of impressions per month with customized features. They also have a limited period offer for 15 days full featured Risk Free Trial.